Chip tuning or remapping refers to changing or modifying an EPROM chip in a car or other vehicle’s electronic control unit (ECU) to achieve better performance, whether it be more power, cleaner emissions, or better fuel economy. The days of manually pulling and desoldering or replacing EPROM chips from a factory ECU are long over. In most cases a “chip” for your modern car is nothing more than a software upgrade that’s reflashed onto your ECU’s memory via the onboard diagnostic (OBD-II) port. Modern ECUs can be tuned by simply updating their software with recalibrated (remapped) software. ECUs are a relatively recent addition to the automobile, having first appeared in the late 1980s.As technology advanced, so did the electronics that go into cars. The ECU in a modern automobile, together with advanced engine technology controls many aspects of the engine’s overall performance and operation, such as spark timing and fuel injection, boost control and level, Throttle, Valve timing, Valve lift, and many other parameters. Suppliers such as Bosch, Siemens, Motorola and Magneti Marelli are the main suppliers for engine management systems (EMS) to the main manufacturers. 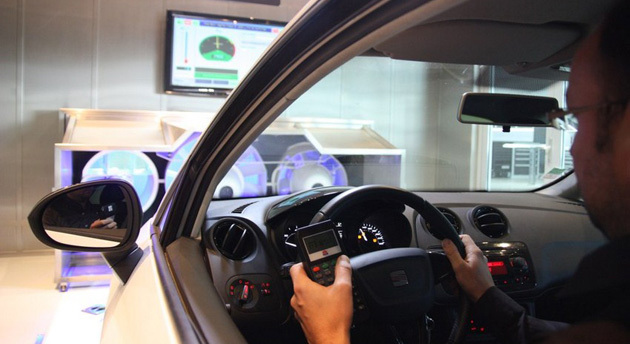 Between the car manufacturer and supplier, each system is custom designed and the software calibrated for each vehicle. Model year differences and factory software updates mean that the tuner is in a constant battle to develop tuning solutions for each ECU type and also to reverse engineer around the ever increasing complexity of the hardware and software. Performance gains are realized by optimising various engine parameters such as airfuel ratio, ignition, injection timing fuel pressures and boost levels etc. Most manufacturers tune for optimum emissions and reliable engine duration under any enviromental condition such as extreme temperature or altitude conditions whilst allowing for the use of poor quality fuel and servicing, this greatly limits performance accordingly. Tuning on an individual basis optimises the ecu calibration for individual requirements and the use of good quality fuel and proper servicing. Turbocharged petrol or diesel vehicles can have the requested and allowable boost levels raised effectively increasing engine size with ignition / injection timing and duration settings optimised and airfuel ratio (AFR) altered typically gaining around 30% extra power and torque with Normally Aspirated vehicles gaining between 10 to 15% in power/torque. A properly tuned ECU will result in transformed performance, driveability, and improved fuel consumption and can make the difference between a good car and a great car !. 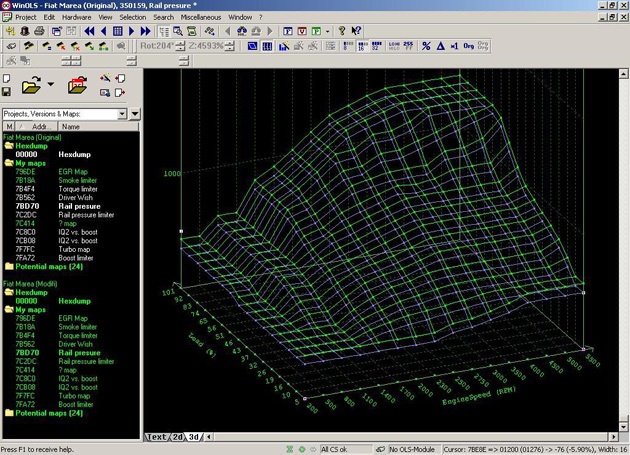 Once a copy of the original ECU software is obtained by either reading via the diagnostic OBD port or by direct connection to the ecu then the task is to identify the various tables and scripts of information to get an overall picture of the relationship between each calibration table and how the ecu processes the information and in which order. This is known as the ecu strategy. The strategy information together with the damos which is the factory calibration notes and descriptions allow the engineer to start the process of altering the calibration to obtain the required performance. Experience ,accurate information and skill combine to allow an accurate recalibration of the factory software and changes are tested using datalogging equipment and dyno testing. 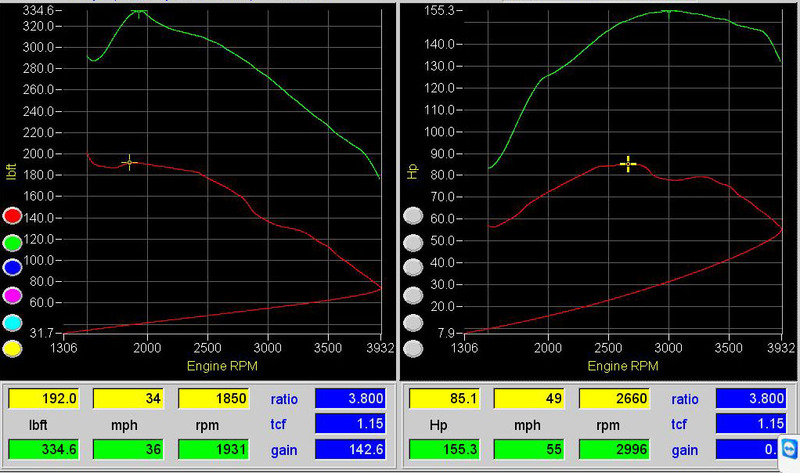 Once not only the desired output is reached whilst remaining within safe limits such as Exhaust Gas Temperatures EGTS and AFR's but also a suitable smooth dyno graph is produced then the final recalibrated software is uploaded and the vehicle road tested. The main work load is always the first of each vehicle type or engine with later generations of software being a constant rework of the earlier versions. The tuner continually evolves his calibrations throughout his time working with each vehicle type as does the manufacturer. There really is no substitution for experience. Why do the manufacturers not do this? outputs with the only difference being the actual software calibration in the ecu. A very good example of this is shown on the dyno sheet below . It is of a 2012 VW Transporter with 85bhp output from the factory. The engine itself is identical to the 2.0 143bhp output version with the only difference being the software calibration and approx three thousand pounds of difference in price. With this remap power is increased to 155bhp and torque by 142lb/ft which transforms the vehicle performance beyond that of the higher spec 143bhp model. The increase in boost pressure is only an additional 0.1 bar from the stock 1.3 bar output which insures that reliability will be unaffected . 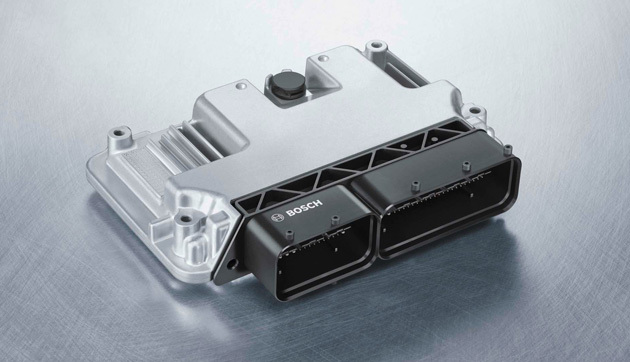 It almost sounds to good to be true and in fact the manufacturers are becoming more aware of the volume of customers who want the benefits that tuning provides and are actively producing technology with the aim of putting and end to the recalibration of ecu's by anyone other than themselves. This has made access to the ecu software more complex but ironically has made it more difficult for the manufacturer to detect that tuning has taken place. Careful replacement of anti-tamper bolts etc. 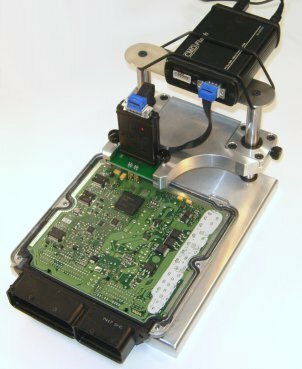 with factory items means that no trace is available as the latest boot mode techniques leave flash counters and date records of flash programming counters standard and the ECU can be returned to standard software at any time. Whilst the manufacturers continue to have a requirement to update their ecu software there will always be a way to gain access and allow the tuner to produce an optimised version.